Here is a map contains territory of Russia. detailed map of Fatezh и OziExplorer calibration free download. free map of Zykovka here. detailed map of Zorino 1 cm to 1 km presented. actual map of Zhuravinka with gps calibration for Garmin. interesting map of Zherdevo with gps calibration for Garmin. map of Yasenok calibrated free download. detailed map of Vysokoye calibrated this. interesting map of Vysokiy calibrated here. detailed map of Vtoroye Rozhdestvenskoye и OziExplorer calibration for you. detailed map of Vetrenka и OziExplorer calibration for gps. interesting map of Veselyy with gps calibration download for free. free map of Veselyy with gps calibration for gps. interesting map of Verkhnyaya Khoteml' for Garmin. interesting map of Verkhniy Lyubazh 1 cm to 1 km for you. topographic map of Verkhneye Zhdanovo presented. map of Vasil'yevskoye calibrated free download. 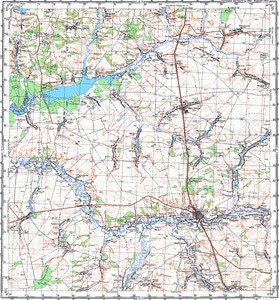 actual map of Troitskoye for gps.